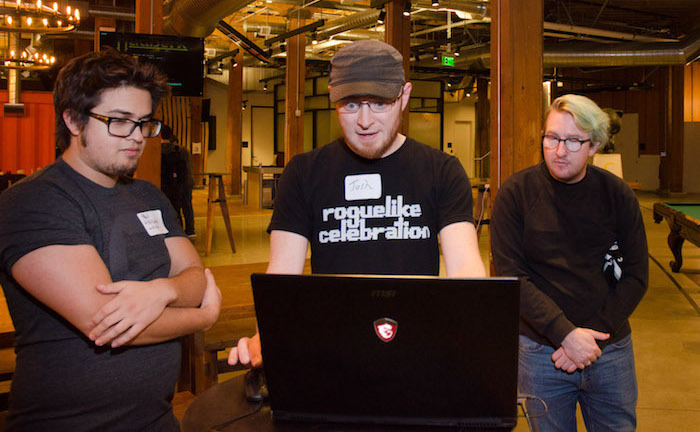 The Roguelike Celebration is happening on Saturday and Sunday October 5th and 6th, 2019 at the GitHub office in San Francisco. 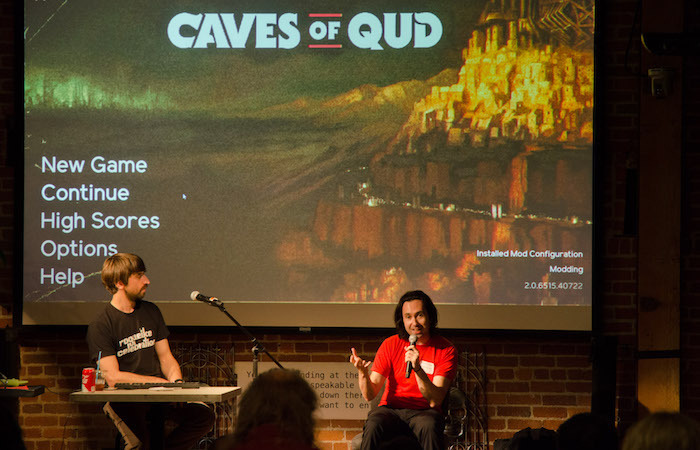 The Roguelike Celebration is a community-generated weekend of talks, games, and conversations about roguelikes and related topics, including procedural generation and game design. It's for fans, players, developers, scholars, and everyone else, including people new to this type of game! If you or your company would like to sponsor this event, please send us a message at contact@roguelike.club (see sponsorship levels). Tarn Adams - Creator of Dwarf Fortress - talking about Villians and other updates to Dwarf Fortress! Thomas Biskup - Creator of ADOM - talking about Entity Component Systems in games! Josh Ge - Creator of Cogmind - talking about how to make a roguelike! Jim Shepard - Creator of Dungeonmans - talking about the secrets of storytelling in games! Brian Walker - Creator of Brogue - talking about level generation techiques! Santiago Zapata - Creator of Temple of the Roguelike and Ananias - talking about the history of roguelikes! Max Kreminski - Computational Media PhD student at UC Santa Cruz - talking about gardening as a mode of play! Colin Liotta - Jack of many trades - talking about his roguelike puzzle for the 2018 MIT Mystery Hunt! Jongwoo Kim - Developer at Kitfox Games - talking about subjective simulation design and ludonarrative congruence! Jonathan Lessard & Pippin Barr - Professor at Concordia University and Director of LabLabLab - talking about Chogue the chess roguelike! Bob Nystrom - Game programmer and author of Game Programming Patterns - talking about techniques for game design! Leif Bloomquist - retro game and electronic music enthusiast - talking about making a multiplayer roguelike for the Commodore 64! Alexei Pepers - Game designer and accessibility researcher - talking about the joys of delving through the Nethack codebase! Andrew Aversa - Creator of Tangledeep - talking about calibrating difficulty in games! Danny Day - Creator of Desktop Dungeons - talking about dynamic event listener systems! 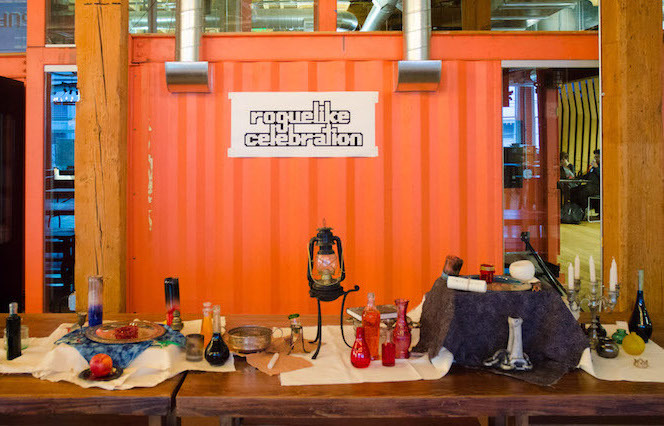 Sign up for occasional email updates about upcoming Roguelike Celebration events. Roguelike games have been part of gaming culture for over 30 years! They have a deep and special place in our hearts. There are so many fans across age groups and around the world that there should be a place for all of them to get together and celebrate these unique games. We were inspired to do this by the International Roguelike Development Conference — and instead of a focus on development, this was for all of us — the players! 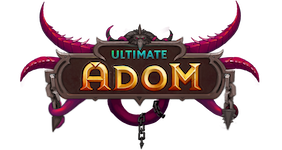 ADOM is supporting Roguelike Celebration 2018, including sponsoring our arcade party. GitHub donated use of their office event space for Roguelike Celebration 2017 and 2018, including sponsoring food and recording video and audio for the talks. 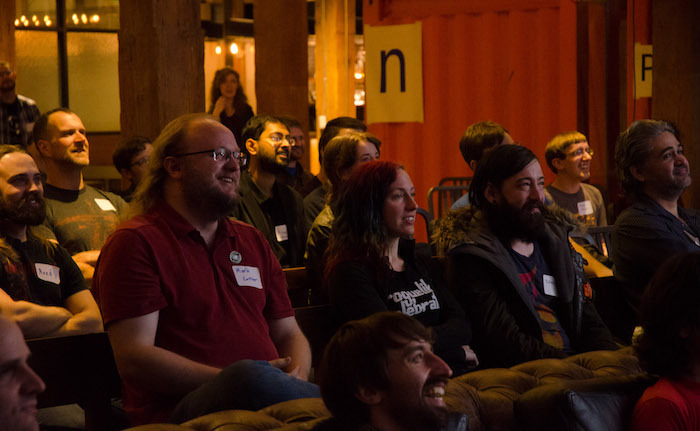 Eventbrite donated use of their office event space for Roguelike Celebration 2016. 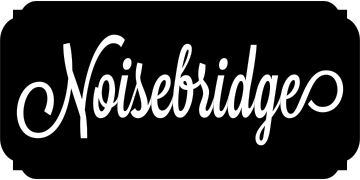 Noisebridge is a hackerspace for technical-creative projects, doocratically run by its members. It is a non-profit educational institution intended for public benefit. We're grateful they serve as our fiscal sponsor. Roguelike Celebration is a friendly and respectful celebration that welcomes players of all levels of experience (including no experience) and of all ages (people with kids welcome). We have a code of conduct for all participants, since we're dedicated to a harassment-free conference experience for everyone. Our code of conduct. We also recommend Recurse Center style social rules.